Sometimes Wi-Fi just doesn't do the trick when streaming something to several devices. 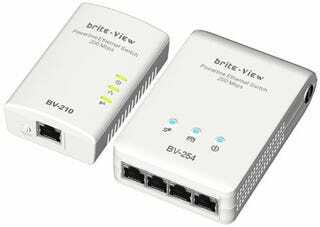 Zinnet's Brite-View LinkE system will cover you there by allowing you to stream things over a powerline network to four ethernet devices and at up to 200Mbps. It's pretty simple: You plug an ethernet bridge into a wall outlet and connect it to a modem. Then you plug the four-port ethernet switch into another wall outlet and tada! You're able to stream content.